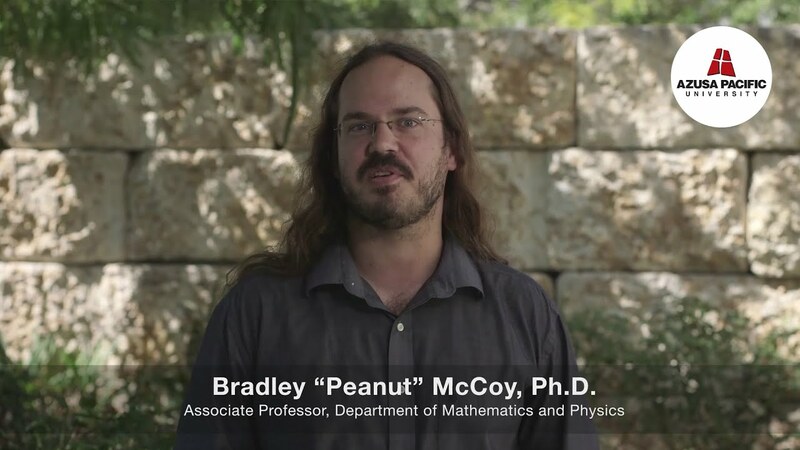 Bradley McCoy, Ph.D., teaches a variety of physics and Earth Science courses at APU. McCoy uses current advances in physics education research in his teaching methods, with specific emphasis on learning science by group problem solving within the framework of an organized problem solving strategy and by inquiry-based laboratory exercises. He won the University Leadership Award for his work on General Education Council. His research interests include phase transitions in smectic liquid crystals and education research on problem solving and epistemology.